Martha Graham in Letter to the World, photo Barbara Morgan, 1940. Torso placed in parallel position with the floor, one arm following its line, the other bent, its wrist on the dancer’s head. Her eyes are closed and the tension of her movement is visible through her exposed neck. The wide skirt of her white dress defines the movement of her legs, one being rooted on the floor and the other forcefully thrown behind her in a striking kick. Both the horizontal line of her torso and the vertical curve of her skirt contribute to the kinetic idea of her step. 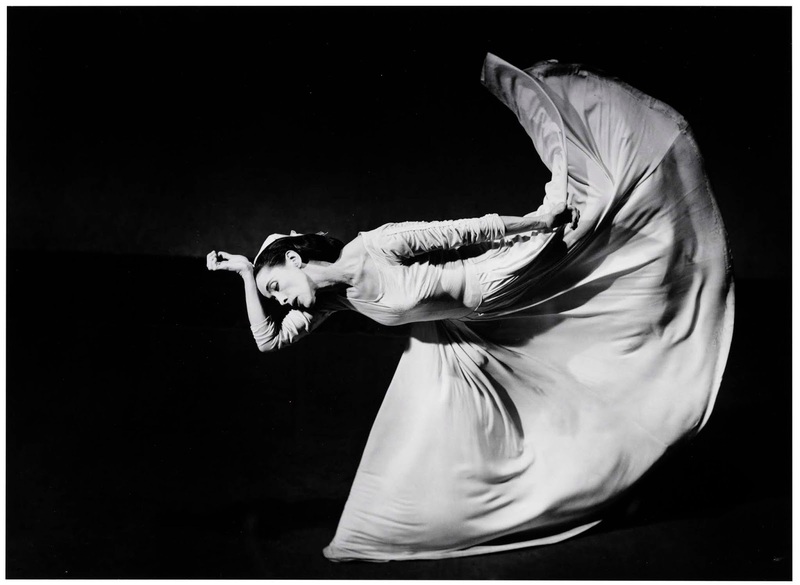 The dancer in question is Martha Graham, the photographer Barbara Morgan. The former fundamentally contributed to the revolution operated by modern dance in the first half of the twentieth-century, the latter immortalised some of her most memorable dances in carefully constructed images. In particular, this photograph has become what I will call The Photograph, probably the most famous picture of Martha Graham. It relates to Letter to the World (1940-41), a choreography she dedicated to poet Emily Dickinson, a complex work she was prticularly attached to. In the course of various decades, this image has undergone various transmutations. First, its relation to the choreography is paradoxical. The Photograph has reached an iconic status, all those who know Graham, have seen it and if one googles her, this is most likely the first picture to come out. In spite of this, Letter to the World is almost unkown. Few scholars have dedicated a thorough analysis to it and the public is little aware of its existence. Secondly, it shows how “technological intervention” changes “the representation of movement” (Salazar Sutil, 2015: 1). The art of photography has focused on the representation of movement, for example, with the work of Eadweard Muybridge who studied the locomotion of animals and individuals at the end of the nineteenth-century. Muybridge used many cameras to capture motion and contributed to the development of early cinema with his projector called zoopraxiscope. 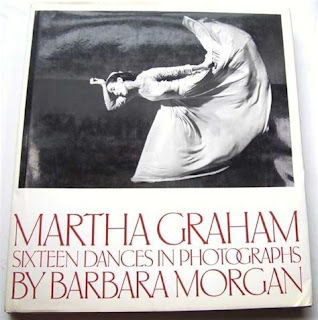 Barbara Morgan’s photograph is taken from a celebrated volume, Martha Graham: Sixteen Dances in Photographs, published in 1941 and republished in 1980. Morgan’s aim was to document dance, and make “possible the fuller portrayal of the dancer’s fugitive art” (Morgan,1980: 12) . She was aware of the fact that her medium could not convey movement per se, but she intended to highlight “the dance at its visual peak” (Morgan, 1980: 12) and chose the photographs of those gestures she better remembered and that came “to symbolize the whole dance” (Morgan, 1980: 150). In sum, those images are Morgan’s perspective on the dance and The Photograph a substantial part of its significance, in that it has frozen movement into a frame, erasing its kinetic component. Its enourmus diffusion has, in the course of the decades, altered “the perception” (Benjamin, 1999: 734) of the piece which is now condensed into this very frame. What does The Photograph tell us of Graham’s choreography? What does it say of her approach to movement? It tells us a great deal, but it still represents a part, a glimpse of a highly layered work. Letter to the World is not a biographical account of Emily Dickinson’s life, but rather an incursion into the “inner landscape of her poetry” (Graham, 1991: 163). Structured into five episodes, it presents the poet’s identity through two figures, the One Who Dances, originally interpreted by Graham herself, and the One Who Speaks, danced by Jean Erdman, whose task was to move and utter lines from Dickinson’s poems and letters. The other characters are emanations of the poet, such as the Ancestress, portrayed by Jane Dudley, who exemplified the poet's Puritan heritage and death, and the Lover, danced by Erick Hawkins, who represented Love. The One Who Dances engages in a fight against the Ancestress and when the latter separates her from the Lover, she performs a long solo which consists of various sequences danced on the floor, on the bench present onstage and across space. During this part, the One Who Speaks utters numerous lines, following the protagonist in her path of rebirth (Simonari, 2015). The Photograph comes from this final solo and sums up the One Who Dances’s inner struggle, with her bent torso and wrist on her head. It freezes the movement phrase transforming it into a profound pensive gesture. The back kick adds a dynamic element, a spatial opening that destabilises the rigor of her upper body position giving strength and stamina to the pose and to the character it pictures. It also expresses some crucial aspects of the Graham technique like gravity which is seen as a force to be explored and not contrasted. In The Photograph, even if it is hidden by the fabric of the skirt, the foot that carries the weight of the body is firmly planted on the floor and almost seems to be an attracting drive for the torso and its peripheral limbs. Andy Warhol, The Kick, 1986. Thirdly, there is the afterlife of The Photograph as it has been reinvented in unusual manners. One of its most famous interpretations is Andy Warhol’s screenprints. Warhol had been drawn into dance in general on various occasions. 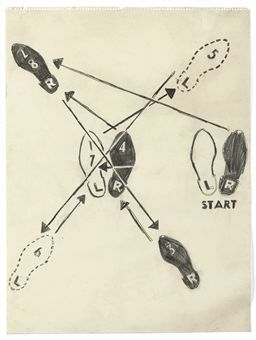 At the beginning of the 1960s, he created the Dance Diagram paintings, where he showed some steps of the Charleston or Foxtrot as seen from above, focusing on the dancer’s feet. He also attended the performances of the Judson Dance Theatre where he met dancer Fred Herko who subsequently starred in some of his earliest films. In 1979 he shot a few polaroid photographs of Graham, focusing on her head and shoulders. She is not in a dancing pose, but shows her face or her profile. Between 1981 and 1986, Warhol made some drawings of Graham dancing, drawings inspired by Barbara Morgan’s photographs of, among other works, Frontier (1935), Satyric Festival Song (1932) and Letter to the World. 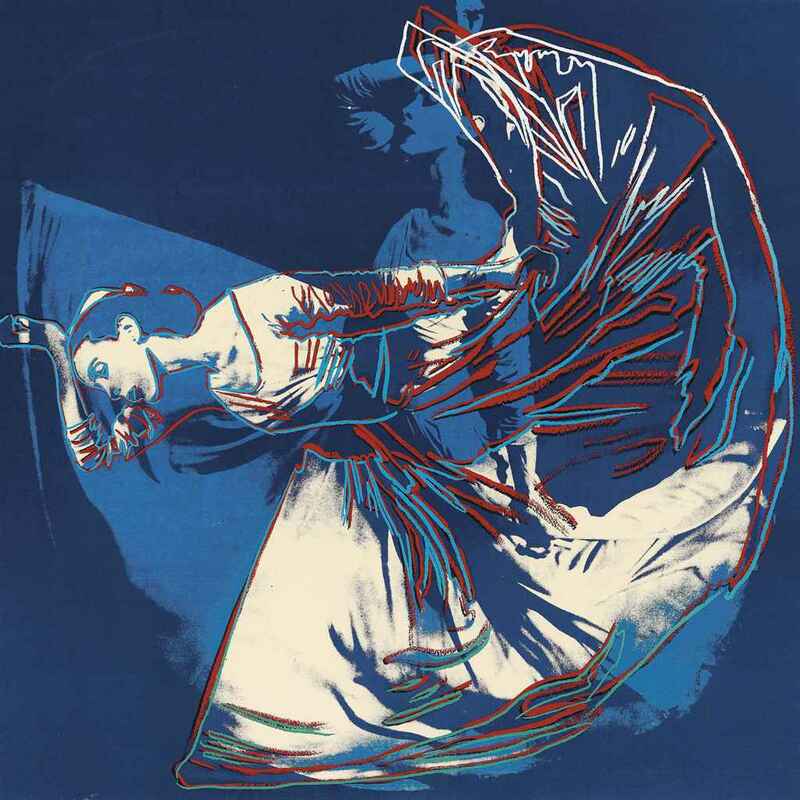 In 1986 he produced a series of screenprints based on Morgan’s photographs of Graham in different dances, among whose there was The Photograph. He transformed it using colour, highlighting the perimeter of the figure and juxtaposing more than one image of The Photograph into one single picture. The title given to these works is The Kick which metonymically paraphrases Graham’s movement . In 2007 illustrator Vladimir Radunsky published the children’s book Because… in collaboration with Mikhail Baryshnikov, who wrote the story. Centred on a dancing grandmother, among the dancing poses she assumes, there is her 'interpretation' of the The Photograph. In this case, then, Graham is not the protagonist of the image, but her move is. The dancing grandmother wears a white top and a black wide and long polka dots decorated skirt which draws the same curve of the original, one arm bent with her wrist on her hatted head and the other kept straight along her torso. The tension of The Photograph is not the same but the construction of the lines are. This tells us that The Photograph has become a consistent part of North American culture and that Graham’s pose has gained a life of its own. In 2015 The Photograph has once again been reinvented in two shots by the New York Dance Project. Created by fashion photographer Ken Browar and photo editor with a dance background, Deborah Ory, the project is about celebrating the New York based dance world with quality artistic photographs. The two shots in question show the same movement but with a different, more airborne nuance. 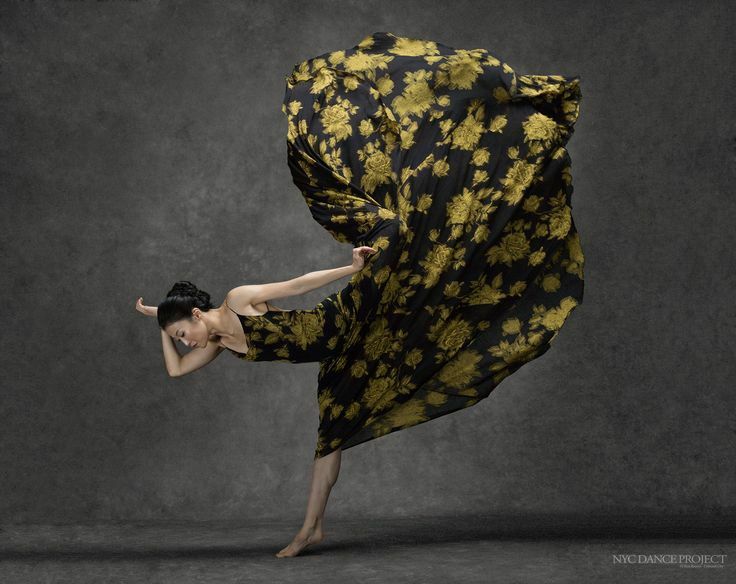 One portrays Peiju Chien-Pott, who has been a member of the Martha Graham Dance Company from 2011 to 2016, wearing a Diane Von Furstenberg floral dress, while the other shows American Ballet Theatre principal dancer Isabella Boylston, whose weight-carrying leg stands on pointe. Peiju Chien-Pott stands on half point and her weight-carrying leg is partly revealed as the skirt of the dress, which is wide and long, moves upward redefining the curve of Morgan’s photograph into fabric ondulations. The sense of gravity from Morgan’s photograph is changed into an upward drive only partially contrasted by the dancer’s horizontally placed torso. This drive becomes a vertical pattern in Isabella Boylston’s version where we have a double kinetic retake, one that relates to Graham’s so called kick movement, and the other stemming from a different technique from Graham’s, that is ballet. The ballerina’s torso is no longer in parallel position with the floor, but in a slightly tilted posture that creates a diagonal line. Her pointed foot is well grounded on the floor but it is pointed nevertheless, thus placing her on a higher plane with respect to Graham. Her bent arm and wrist are almost in the same position and this, together with her lifted leg, expresses a melancholic mood that in part erases the dramatic force in Graham’s version. In an article about Morgan, The Photograph is also referred to as The Kick. Walter Benjamin, “The Work of Art in the Age of Mechanical Reproduction”, in Film Theory and Criticism. Introductory Readings, Leo Braudy, Marshall Cohen, edited by (Oxford: Oxford University Press, 1999), pp. 731-751. Frontier, chor. 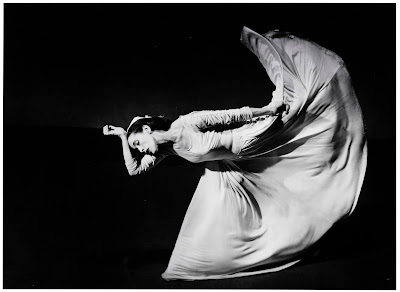 Martha Graham, music Louis Horst, set Isamu Noguchi, costume Martha Graham, feat. Martha Graham (New York, Guild Theatre, 28 April 1935). Letter to the World, chor. Martha Graham, texts Emily Dickinson, music Hunter Johnson, set Arch Lauterer, costumes Edythe Gilfond, feat. Martha Graham, Margareth Meredith, Jane Dudley, Erick Hawkins, Merce Cunningham and Company (Bennington, Bennington College Theatre, 11 August 1940). Letter to the World, chor. Martha Graham, texts Emily Dickinson, music Hunter Johnson, set Arch Lauterer CHECK, costumes Edythe Gilfond, feat. Martha Graham, Jean Erdman, Jane Dudley, Erick Hawkins, Merce Cunningham and Company (New York, Guild Theatre, 7 April 1941). Barbara Morgan, Martha Graham: Sixteen Dances in Photographs (New York, Morgan & Morgan, 1980). Nicholás Salazar Sutil, Motion and Representation. The Language of Human Movement (Cambridge: MIT Press, 2015). Satyric Festival Song, chor. Martha Graham, music Imre Weisshaus, costume Martha Graham, feat. 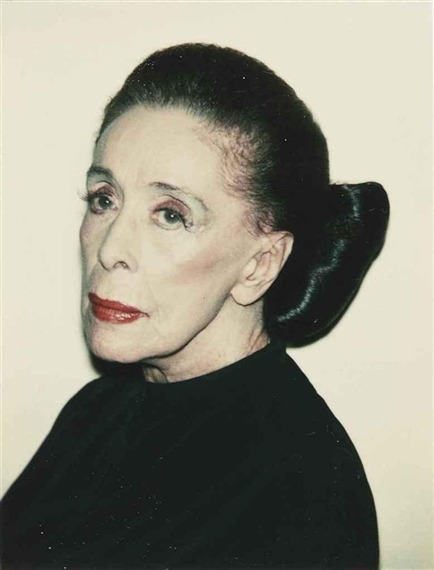 Martha Graham (New York, Guild Theatre, 20 November 1932). Rosella Simonari, Letter to the World. 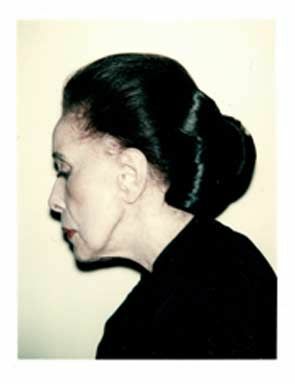 Martha Graham danza Emily Dickinson (Rome, Aracne, 2015).